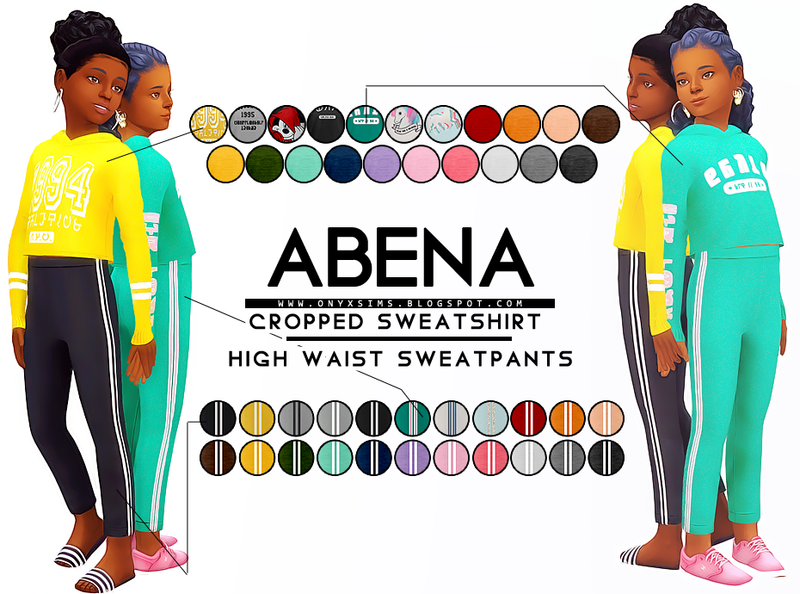 A cropped sweatshirt and some matching high waist sweatpants for your little girls. The cropped sweatshirt works well with accessory shirts like this one. Both items have been disabled for random, and opposite gender/frame. You can find it in the sweatshirt and pants subcategories in the everyday, athletic, sleep and party categories.